With the weather warming up and the sun staying out longer, parents can ensure their little one’s sweet sleep time with Pampers Baby Dry diapers, which offer 12 hours of overnight dryness to ensure a great day, begins with a dry night’s sleep. I’m sure most of us have been there… the middle of the night and our little one’s diaper has leaked all over the bed. There’s nothing worse then nighttime leaks. With Pampers Baby Dry you get up to 12 hours of dryness! To celebrate our baby’s sweet sleep with Pampers Baby Dry, we’re having two parties! Best yet… the attendants receive the gifts! Join us with Pampers on Twitter where you will have the opportunity to chat sleep-time solutions with some of Pampers Baby Board Members like Lauren Jimeson (A Mommy in the City), Louise Bishop (MomStart) and Kate Marsh Lord (The Shopping Mama). To join, simply log on to www.Twitter.com beginning at 2:00pm EST and join in the conversation by tweeting @Pampers and using the #PampersBabyDry hashtag. 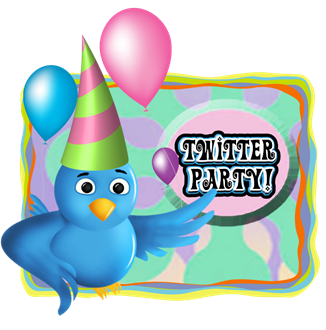 RSVP here and join us… Twitter parties are a blast! At random, some participants will be selected to win a special “Sweet Sleep Time” prize pack containing items that are ideal for an uninterrupted night of rest, including Pampers Baby Dry diapers, which help keep baby dry with 12 hours of overnight protection. Whether its evening story time, a sing-song lullaby or cuddling close to mommy or daddy, your baby’s sweet sleep time rituals are enhanced when they stay dry overnight in Pampers Baby Dry diapers. To bring to life to these special moments, parents are asked to log on to Pinterest and create a special board entitled “Pampers Sweet Sleep Time Party” using the hashtag #PampersBabyDry. Simply pin 5+ photos that best represent your favorite sleep time solutions, rituals and products – including Pampers Baby Dry diapers – for a chance to win exciting prizes that can enhance your baby’s sweet sleep time. 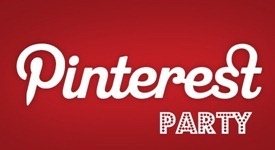 To bring to life these special moments, parents are asked to join our Pinterest giveaway promotion between April 10th and April 24th. Simply visit http://on.fb.me/11UB4eG and enter your information and click “submit & pin” to pin our special “Sweet Sleep Time” giveaway image. Doing so will automatically enter you for a chance to win a year supply of Pampers Baby Dry diapers, plus a gift card which can be used toward creating your baby’s dream nursery! Pampers is offering a special coupon where parents, like yourself, can receive an immediate, one-time $1.50 off printable coupon for your next purchase of Pampers Baby Dry diapers. Simply visit this link at Coupons.com. Feel free to share, tweet, post, or use this coupon with friends, family and readers using hashtag #PampersBabyDry. I learned pampers makes a foaming handwash called Kandoo. I’d love for my grandson to try that! I love the Skin Care Guide – a lot of useful information for any new mom! I love the pampers rewards program! I Like The Gifts To Grow Rewards Program! I like the pampers village sections. You can put in any part of pregnancy you are in or at what stage your baby is, and read pertinent info on books, cooking, and of course potty training and diapering. We really like the Pamper’s Easy Ups! I didn’t realize pampers made shampoo, hand soap and body wash. I’d like to try some of those products. i like the gifts to grow reward program. I like the foaming handwash Kandoo. I learned you can sign up for Deal Alert to find out the latest offers. I like the gifts to grow. I like that you can jump to articles specifically for the age group you need! I love their rewards program. I love pampers gifts to grow rewards! My grandson is potty training at night so the Pampers Easy Ups Trainers would be perfect. Just found out that I am going to be a first time grandma…..so excited…..I love that the pampers name is still a trusted brand even 30 years since I had my son! I love that the newborn diapers have the wetness indicator strip on the front. I love Pampers Baby Dry diapers for my daughter, they are amazing! I also love the Kandoo line, the sanitizer would be great! I like the rewards program and coupons. The Gifts to Grow Rewards program sounds great! I also love their advice for moms to be in their third trimester! Very useful information for mathers! Thanks a lot for thinking about us! I like that they have their products arrange by age group. Much easier to find what you are looking for! With Gifts to Grow, the Pampers you buy become rewards for you & your family. Love that you get reward points from pampers! Pregnant with twins so this prize would be perfect for us!!! I like the Gifts to Grow rewards. I love the Pampers Baby Dry diapers. That is all we use with my son! I learned about Pamper’s Village – it’s a great way to stay updated on Pamper’s products, promotions, and coupons. I love the pampers rewards program!I love the pampers rewards program! I like that they have a section that has advice on potty-training. I like the pampers sensitive wipes and the cruisers. I also love the menu section. 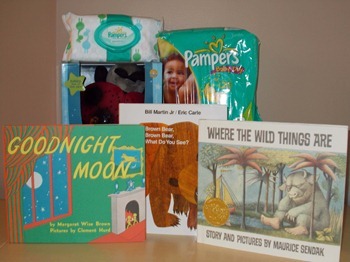 love pampers and great book choices! I want to try the overnight diapers and of course I want the shopping cart in the gifts to grow section for my son. I love their rewards program! I like that the site is easy to navigate and has a gifts to grow rewards program. I like the section on making kid favorite foods even healthier. Thanks for the chance to win! I love the Pampers Swaddlers for my newborns. I love the Pampers reward program!!! I like the Pampers Gifts to Grow rewards program! I like the article on making kid favorite foods even better. I like the rewards you can get by entering your points. I love the Gift to Grow Program! I learned that Pampers Baby Dry Diapers have up to 12 hours of overnight protection. I think the rewards program sounds like a great idea!